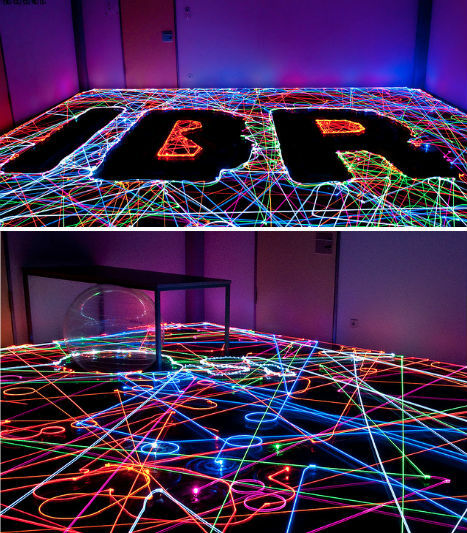 Roombas, those little robotic vacuum cleaners, zoom around cleaning the floor without requiring you to lift a finger. Hitting furniture and walls, they simply back up and move in another direction. 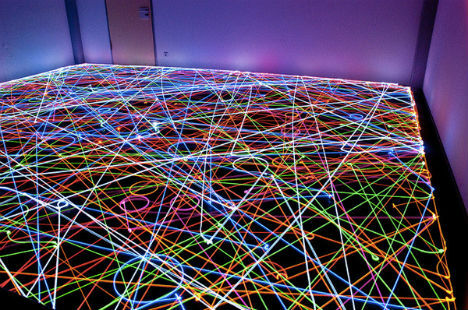 But what if you mount them with colored LED lights and take long-exposure photographs of their movements? 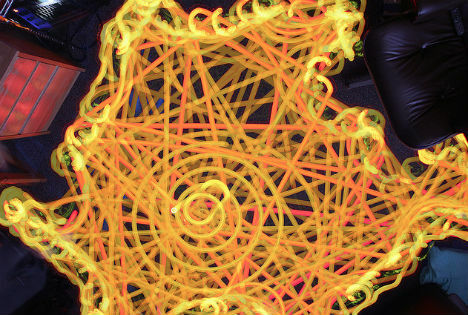 A Flickr pool called Roomba Art displays some of the trippy results that are possible. 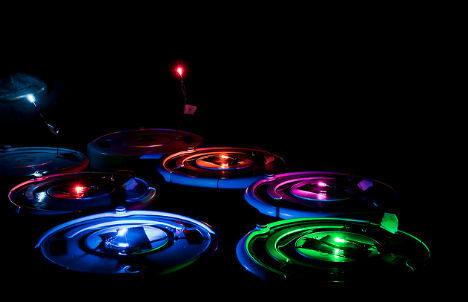 Tobias Baumgartner, Marcus Brandenburger, Tom Kaphans, Alexander Kroeller and Chrstiane Schmidt of the IBR Algorithm Group and Braunschweig University of Technology mounted different colored LED lights on a swarm of seven Roombas as part of a “Roomba Art” picture series. 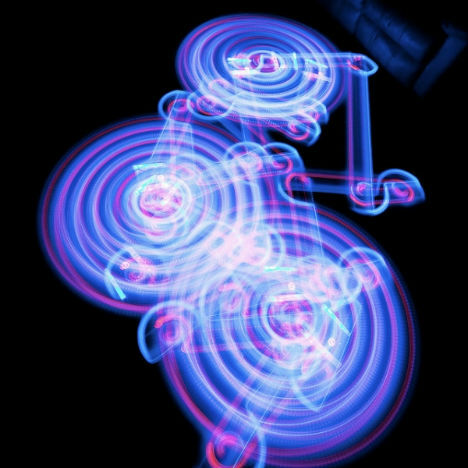 They set up their cameras in a dark room and let the Roombas loose at the same time, allowing them to zoom and collide at will. Other participants in the photo pool, like zim2411, mounted their cameras to the ceiling or experimented with different lighting effects. Some of the images, like the one below by Steve Doll, resemble tapestries of light, with the lines overlapping and intertwining. See the whole set at Flickr.